Bjorgolfur Thor Bjorgolfsson, who outside Iceland goes by the name of Thor Bjorgolfsson, is now using the world wide web to write his own story and to shape the past and present according to his Weltanschauung. Unfortunately for non-Icelandic speaking possibly avid readers the website is, so far at least, only in Icelandic. Bjorgolfsson was, together with his father, the largest shareholder in Landsbanki and was in addition the largest shareholder in investmentbank Straumur. His shareholding in both banks has been wiped out but Straumur seems to be moving out of moratorium. His third main asset, the generic pharmaceuticals Actavis, is still in his name but the major part of the debt has been on Deutche Bank’s books. Bjorgolfsson has been an immensely active investor since he and his father started their joint venture in St Petersburg in the early 90s. That story, shrouded in mystery, is so far best told in an article in Euromoney Nov. 2002 when it was clear that they would become principal shareholders in Landsbanki, together with their business partner in Russia Magnus Thorsteinsson. On Wikileaks there are documents from to the court cases related to how they became owners of the Russian businesses. There have been countless articles on the Russian activities and Bjorgolfsson’s Eastern European interests. The trio then set up a brewery that they sold to Heineken in 2002. The brewery was set up together with an American investor, Capital Group of Los Angeles, at the time active in Russia. The sale to Heineken didn’t mark the start of an international investment carrier: Bjorgolfsson was already actively investing in Easter-Europe, i.a. together with Deutsche Bank. In Iceland the BTB web is seen as Bjorgolfsson’s PR campaign: he isn’t happy to be branded as a ‘viking raider’ excluded from all future involvement in Iceland due to his past in general and to Icesave in particular. A close associate of his, Hreidar Mar Gudjonsson who used to work for Novator, Bjorgolfsson’s main investment vehicle, is now leading a group of investor to buy Sjova, an insurance company brought to the brink of bankruptcy by its ‘raider’ owners, Milestone. Gudjonsson’s move will undoubtedly raise questions of possible involvement by Bjorgolfsson. Information on the BTB web has already led to a statement from Robert Wessman ex-CEO of Actavis and earlier a close associate of Bjorgolfsson. The two had i.a. a joint real estate venture in Spain that didn’t do too well. On his web Bjorgolfsson claims that Wessman was fired. In a statement today, Wessman begs to differ, says he wasn’t fired and publishes his final salary agreement to prove his point. Wessman also points out that Bjorgolfsson is now running a huge spin campaign with a group of people on his pay roll; he should instead rather use the money he’s pouring into spin to pay his debt. Around 6pm the Office of the Special Prosecutor decided to call it a day – and Sigurdur Einarsson left the office after a whole day of interrogations. As he left he said to the media that all allegations against him are wholly unfounded. The Kaupthing management had not been involved in market manipulation, fraud or embezzlement as the investigations indicates. The OSP isn’t finished with Einarsson just yet. He has to show up tomorrow for another day. It’s still unclear if he came to some sort of an agreement with the OSP that he would only show up if he wouldn’t be put into custody though it seems, a priori, rather unlikely that the OSP would do such an agreement. The UK Serious Fraud Office is conducting its own investigation into Kaupthing. The OSP and the SFO are collaborating though the investigations are independent of each other. Sigurdur Einarsson, Kaupthing’s ex-executive chairman no longer figures on the Interpol wanted list. His name was taken off the Interpol list on Tuesday. Yesterday, he arrived in Iceland and is now being interrogated by the special prosecutor. The investigation by the Office of the Special Prosecutor relates to alleged market manipulation, fraud and embezzlement. As he arrived this morning at the OSP he said to the journalists waiting for him that due to having his name on the Interpol list he had been unable to travel and that it hadn’t been a pleasant experience. 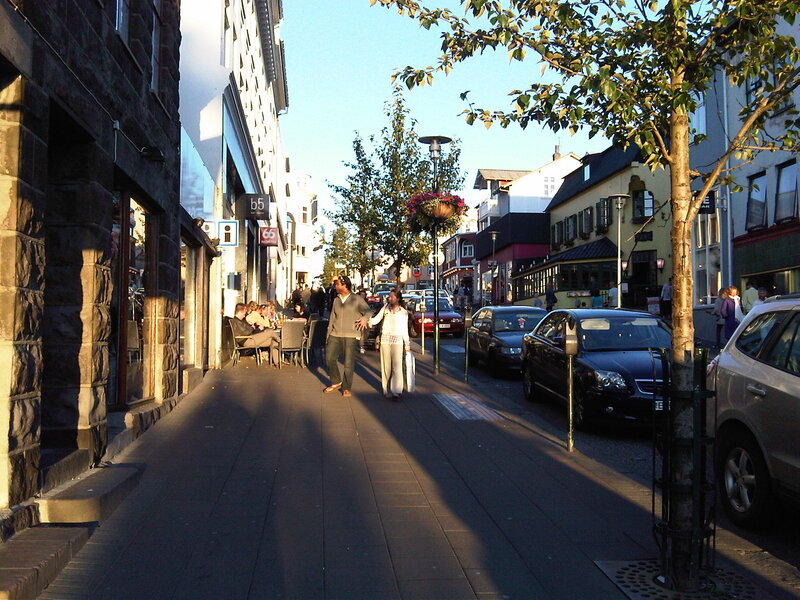 He said he didn’t know how long he would stay in Iceland and added that his conscience was clean. Noticeably slimmer than last time seen he arrived accompanied by his lawyer Gestur Jonsson who was the lawyer of Jon Asgeir Johannesson during the Baugur trials some years ago. In May, some Kaupthing ex-managers were kept in custody, the longest for ten days, as the OSP investigated their statements. At the time, Einarsson was due to appear but allegedly changed his mind when he saw the treatment his collegues received. The OSP reaction was to have Einarsson put on the Interpol list. The has effectively meant that Einarsson was in involuntary custody in London where he lives. The development at the OSP today and the coming days will be in the glare of the Icelandic media. UK: still no questions asked? ‘If the RBS had gone down it would have taken the rest with it,’ Alistair Darling, ex-Chancellor of the Exchequer, said on the BBC’s Today programme earlier this morning. He was being asked about the events in October as Royal Bank of Scotland and other banks were teetering on the brink of bankruptcy. Darling told how a senior executive of RBS had been in touch with him saying that the bank would go under in just a few hours. ‘Happily we did have a plan and we stopped the bank from closing,’ Darling said – and the government stepped in. The financial system didn’t go under, money could still be taken out of cash machines and bank accounts. Just like in Iceland the UK banks were pulled through and there wasn’t a break down of the financial system. But unlike Iceland the Labour government at the time and now the coalition government of Conservatives and the Liberal Democrats have done nothing to poke around in the once-teetering banks to understand what happened at the RBS and other banks that had to be saved. It’s almost a law of nature that in companies heading for bankruptcy things are done that aren’t necessarily entirely legal – or entirely cricket at the Brits say. Whom was the RBS lending to? Some Icelandic businessmen, among others. RBS headed for world dominion, or at least to grow faster than fast and bigger than big. And so it did. That’s what Kaupthing was doing as well. The strategy of growth above everything tends to lead to unwise and imprudent lending. Plenty of that in Kaupthing, also to UK clients like the Tchenguiz brothers, Kevin Stanford and others. And at the RBS? We don’t know because the bank hasn’t been picked over by the FSA or any UK authority. Neither has HBOS or Lloyds or any of the other UK banks that needed assistance at the time. Yes, admirably the Parliament has asked questions and produced reports but nothing that’s nearly enough to explain and clarify what was going on in the banks at the time. And so it is that billions of public money were poured into the UK banks, no questions asked. Iceland has had its very thorough report of the operations of the collapsed Icelandic banks. In the US much has been done and many stories have come out, clarifying what went on in the US banking sector. In the UK: nothing. Just as in Iceland British politicians were eager to see the growth of the banking sector in the years up to 2008. Leaders like Tony Blair and Gordon Brown were visibly in awe of the financial wizards of the City. Industry has been disappearing in the UK over the past decades, factories closing. Banking was the economy’s new save-all. 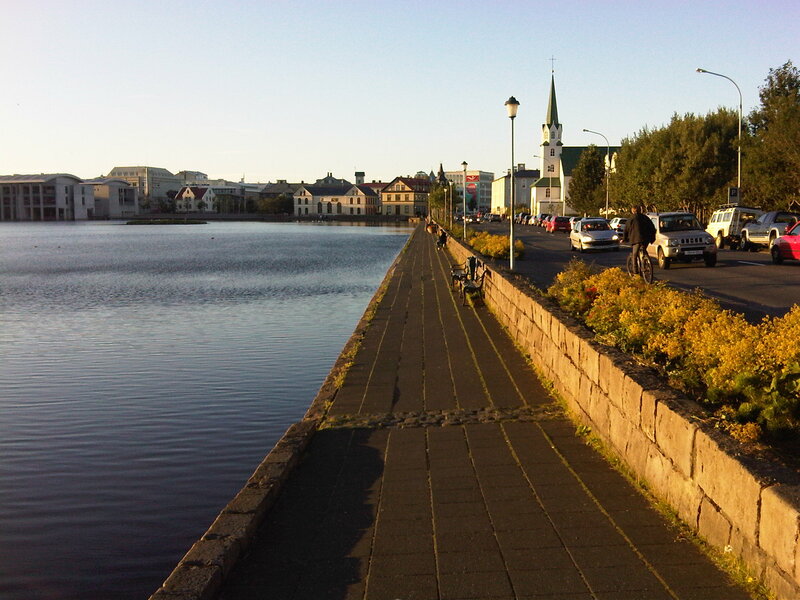 In Iceland, the dream of making Iceland an international financial centre completely blinded the politicians. And the financial and regulatory authorities. The same happened in the UK. The FSA was either inept or unable to keep up with the growing and ever more complicated financial sector. At the time, I thought that since the Icelandic banks operated in the UK nothing much could be wrong with them since the FSA surely would be a strict regulator in a country with such a big financial sector and so much attention and focus on it as well as a great tradition of making laws and regulations. – That turned out to be far from the truth, as the SFO might be finding out if it doesn’t give up on investigating Kaupthing. And the FSA probably didn’t too great a job on the UK banks either. Now the UK coalition government is readjusting the architecture of the FSA but it will be run by Hector Sants as earlier. There is no indication of acknowledging what went wrong and why, let alone investigating anything at all. The Conservatives are living up to their reputation of being intimate with the City. And it doesn’t seem to change a thing that the Lib Dem Vince Cable, earlier so vocal and clear in criticising the banks, is now a business secretary. As the two years’ anniversary of the financial world crisis nears, Icelander are well informed about the operation of the collapsed banks. In the UK nothing is or has been done to investigate the operations of the banks leading up to the collapse of some of the UK banks. And the otherwise so outstanding Today journalist who interviewed Darling this morning didn’t even think of asking why the Labour government hadn’t done anything to investigate the banks. The UK seems to be like Luxembourg: the banking sector here is too omnipotent and influential, too wedded to the political sphere, to be asked impertinent questions. The Daily Mail, a UK newspaper, has taken quite an interest in David Rowland, the media-shy millionaire that lived in Guernsey until recently when he felt a pressing urge to donate £2,7m to the Conservative Party. Earlier this year, the party nominated Rowland its new treasurer, due to take office now in autumn. Daily Mail has been untiring in digging up interesting stories about Rowland in order to show the Conservatives predilection for shady money men. As the new owner of Kaupthing Luxembourg, now Banque Havilland, Rowland is of a particular interest to those interested in the aftermath of the collapse of the Icelandic banks. August 7 Daily Mail came up with a very Daily-Mailish photo of the married Rowland sitting with a middle-aged blond in his lap. Not his wife but, according to the paper, an Italian property agent working in Antigua who, in spite of the intimacy of the scene, wasn’t at all taken in by Rowland. She said he presented himself as a single man but she likes men with ‘more soul’ – and apparently Rowland doesn’t meet that standard. All this according to Daily Mail. The photo was allegedly taken in Antigua in autumn 2008, a few weeks after Kaupthing collapsed. Rowland was then on this Carribean island pursuing his interest in a property development, i.a. in Hodges Bay, a $60m waterside development where Kaupthing had been the main financial backer. Who Kaupthing was backing isn’t at all clear since the club’s website doesn’t contain any information on who now owns the club. Kaupthing funded various luxury developments, most noticeably with the Candy brothers. It would indeed be of interest to know who the Kaupthing clients were in the case – the development seems to have been run from London. But back to David Rowland: it’s mighty interesting that Rowland was scrutinising the Kaupthing backed development because it shows some Rowland ties to Kaupthing. According to the lady on his lap in the end Rowland didn’t invest in the club. The official Rowland story is that Blackfish Capital, the Rowland investment fund, first became involved with Kaupthing in early spring 2009 as the negotiations with the Libyan Investment Authority on buying Kaupthing Luxembourg collapsed. The Libyan deal collapsed because the bank’s creditors didn’t accept it. Blackfish Capital became involved because the Rowlands, David and his son Jonathan now CEO of Banque Havilland, had been in touch with Kaupthing Luxembourg manager Magnus Gudmundsson earlier that year when the Rowlands were buying some bonds from the collapsed bank. The rumour in Luxembourg is that Kaupthing’s major shareholder and/or managers were in touch with the Rowlands and still have an interest in the bank. The fact that the Rowlands kept the Icelandic management seemed to support these rumours. It wasn’t until Magnus Gudmundsson was put into custody in Iceland in May that the Rowlands sacked him. The Rowlands firmly deny any contact with Icelanders, earlier connected to Kaupthing. The fact that Rowland went to Antigua to look into the Kaupthing-related investment is interesting because it shows an earlier Kaupthing connection.